There are times when listening to people in the public arena that I feel like I’m back on the playground at Bostonia elementary school in the 1960s. A dumb comment? Absolutely. But what does Romney do? Well, he retorts by saying Sharpton is “extraordinarily bigoted.” Good grief. What’s next, grown men shouting back and forth, “I know you are, but what am I”? Is there no longer any respect for the English language in our society? Please tell me there are others out there that are also getting tired (and perhaps bored) with the overuse of the words hate and bigot? All this excessive use does is cheapen words that at one time not so long ago, had real meaning. Now they have become mere synonyms for disagreement by people too lazy to respond with sound reasoning. Sharpton’s comment leans more towards being extraordinarily ignorant rather than bigoted. 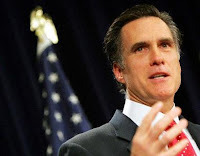 Romney should have been the better man and soundly rebutted Sharpton’s statement by simply explaining that Mormons definitely do believe in God. (For heaven’s sake, Mormons believe in the potential existence of millions of Gods!). But, rather than do so, Romney responded with a flame word. Sharpton has since apologized. As disappointing as the Sharpton/Romney exchange was, I guess it shows they are good pupils of 21st century American culture. Accuse someone of hatred or bigotry and there is no need for an intellectual response. Intimidation by ad hominem, after all, seems to work much better than a sound rebuttal. Call someone a name and you can return to your corner with arms raised like Muhammad Ali after throwing a left hook. The difference is Ali’s punches had real meaning if you were on the receiving end. Many people like you, that rage against the Mormon Church, are scared weasels puking anti mormon crap that you picked up at some anti mormon convention or from one of your “let’s hate the Mormons”, prayer meetings. You are the KKK of our time, veiled in the anonymous cloke of the internet. You are afraid of truth, to seek it and to understand it. You are blinded by your fear and hate. Does this sound like a convincing argument to you? What can any of us possibly learn from a rant like that? I fear that if this pattern of name calling keeps up, intellectual discussion in our great nation will be a thing of the past. I’m already convinced that people who must resort to such tactics tend to prove they have no viable answers (the person I quoted above certainly didn’t). If they did, ad hominem wouldn’t be necessary. If you can attack the issues, you have no need to attack the man. This entry was posted in Mitt Romney and tagged Mitt Romney. Bookmark the permalink. Great post, Bill. Well written. Thanks! Sharpton made a clumsy and ill-considered statement, and his follow-up backpedaling was unconvincing, but I find it sad that with all the negative rhetoric flying around, no one is considering the substance of Sharpton’s later conciliatory remarks. Do Mormons believe in God “the way we believe in God”? I understand Mormon adherents to believe in a God who was once a man and even now inhabits a physical body of flesh and bone. I for one am unable to honestly reconcile this with the biblical understanding of God. My sincere hope is that others of a gentler spirit than Sharpton will be allowed to make this kind of point without being labeled as bigots. You are pretty right on. The god that mormons worship is in no way the same God as the God revealed in His Word. Unfortunately, in witnessing to mormons, it is hard to get them to pin down what they believe about the god they worship. You are right, a lot of areas in our national discourse have become crude and irrelevant, because a common courtesy is missing. On the other hand, much of what Christians witness to mormons is in no way unloving or dishonest, but it is easier to accuse Christians of being meanies rather than honestly examine what the mormon church teaches and has taught. The concern really is that the term “hate” “bigot” “intolerance” are thrown about. Even recently in the Atheist debate with Kirk Cameron and Ray Comfort the Atheist used some of these terms. With hate crime legislation going to be vetoed here shortly.. we in America as Christians will have a growing new challenge to deal with. However it will be ironic when the Mormons get labeled for doing the same thing by other faith and non faith groups. I wonder then how they will respond. Can we say shot in the foot? It would be a nice dream if most Mormons returned intellectually sound arguments instead of emotionally charged words. On the other side, it would be a nice dream if most of Christendom would provide Scripture instead of their own opinion on things. You couldn’t be any more correct. Very nice quote.